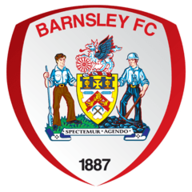 Barnsley opened their Championship campaign with a first home win since March as they deservedly beat Middlesbrough 1-0 at Oakwell. The Tykes lost 11 of their final 15 games in a dismal end to last season, but they showed no lasting effects of that form on Saturday afternoon and won it with a Craig Davies goal on the stroke of half-time. The striker was fed by David Perkins and he powered home from the edge of the area to leave Boro's Jason Steele with no chance. It was an impressive display from Keith Hill's side and they could have won by more, with Davies, Stephen Foster and Jacob Mellis all going close. 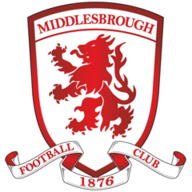 For Boro, it is back to the drawing board after a below-par performance which dampened their pre-season hopes of a promotion push. Both sides made changes from their successful Capital One Cup outings last weekend, with Barnsley handing starts to David Gonzalez, Scott Golbourne, Tomasz Cywka and Marlon Harewood while Tony Mowbray replaced the injured Kevin Thomson and Mustapha Carayol with Faris Haroun and Julio Arca. Boro, backed by a sizeable away following, were the quickest to settle and Arca, Emmanuel Ledesma and Grant Leadbitter all peppered the Barnsley goal with early shots from distance, but Tykes keeper Gonzalez was only called into action once. The Tykes, whose late-season form last year was so bad that they only retained their Championship status due to Portsmouth's 10-point deduction, slowly found a way into the game and they should have taken the lead in the 16th minute, but defender Foster headed over from a good position. They were buoyed by that opening and Davies stung Steele's fingers with an effort from distance, while Cywka sent one just over. And they were rewarded for their endeavour with the vital breakthrough on the brink of half-time as after a neat interchange between Perkins and Harewood, Perkins found Davies and he fired a low shot across Steele and into the bottom corner. Hill's men were not perturbed by the 15-minute interval and Davies could have had another soon after the restart, but Steele produced a fine save. Foster then once more failed to direct a free header. After Mellis sent an effort just wide for the hosts, visiting boss Mowbray had seen enough and made a triple substitution on the hour mark in a bid to bring some life to what had been a limp display. However, it made no difference to proceedings and Davies was denied on two further occasions, with Steele in impressive form. Ledesma had a chance to equalise late on as he turned a loose ball wide and despite a late onslaught, the hosts held firm.